As you read this post, possibly millions of people have read Go Set a Watchman, the highly anticipated first-written draft and sequel to the beloved To Kill a Mockingbird, both by Harper Lee. The first printing of Harper Lee’s anticipated first book, Go Set A Watchman made recent history with a first printing of 1-3 million copies (depending on last-minute pre-orders). For comparison, To Kill a Mockingbird printed only 5,000 copies in 1960 for its first printing. Most 8th and 9th graders in the United States read it in their English or American Literature classes and most likely will continue to do so for generations to come. I don’t anticipate Go Set a Watchman to be received in the same way. In addition, I am not ready to read this book and probably never will. I, and many others are still not convinced that Harper Lee has given genuine and of sound mind consent to have the book published. I would not expect there being legal issues, though. It is not definitive though whether she gave the publisher the “go” to publish it. Nevertheless, I am no conspiracy theorist as there are plenty of articles that have covered the issue. Due to her health, rumored to be almost blind and deaf, I cannot imagine she has even looked at the manuscript in years. For thus hath the Lord said unto me, Go, set a watchman, let him declare what he seeth. It alludes to Scout, now commonly known as Jean Louise Finch, and her view of her father, Atticus Finch, as the moral compass (“watchman”) of Maycomb. 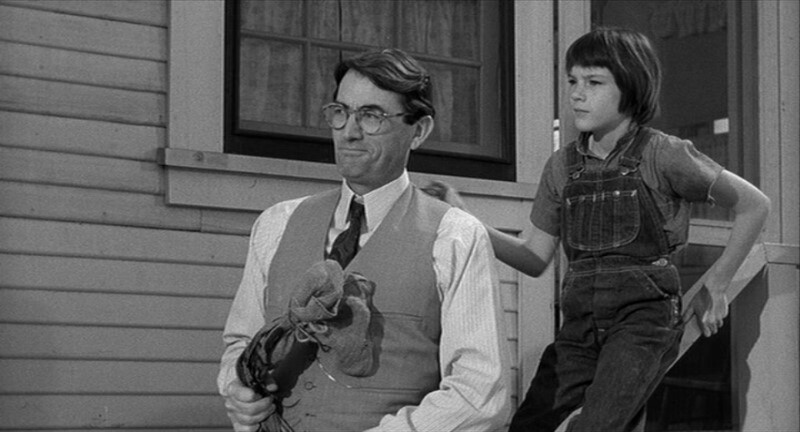 Atticus Finch is indeed the watchman in To Kill a Mockingbird. I read To Kill a Mockingbird twice in high school; once at my first high school in Kansas City, then again at my second high school in St. Louis. I read it during such an important point of my life, in my formative years and during a move in which I felt so alone and like an outsider, much like the characters in Mockingbird. The book helped me see people better from their perspective, to be patient, courageous, and not rush to judgment. I trust other children experienced it in similar ways. It is hard not to admire Atticus. Played brilliantly by Gregory Peck in the movie by the same name soon after the book’s release, it is probably the finest adapted screenplay ever created. The American Film Institute in 2003 released its 100 Heroes in 100 Years list and Atticus Finch topped it. I don’t think I’ve ever stood up and cheered louder when the list was announced during the television special. In the new book, Go Set a Watchman, the Atticus we know is humanized further and is discovered to be more of a racist and complex person. In Lee’s new book, he is a changed watchman. I mourn what has become of Atticus Finch in this book. But, who am I to judge? After all, he is just a fictional character. But he still matters like any beloved character we love who passes away – I wrote about this a few years ago as often times it can feel like we lost someone we really knew. I don’t want to lose Atticus, though. But, we can rest assured. Wise and comforting words, Peggy. There is more to Atticus, though. If we truly want to find Atticus, read the book of John in the Bible and you’ll see him more beautifully than ever. Atticus is a mere modern-day reflection of our true Father. He has always been there and has never left us. Rest assured. I loved this. Thanks for keeping Atticus heroic! What is your pastor driving? Can Reading Books Complete A Person?